Photo courtesy of Kangaroo Photos. Results and top performers from Day 6 of the 2018 Under-16 Australian Championships being held on the Sunshine Coast, Queensland. For a full review of the Day 6 games as well as the draws, ladders and top performers, click here. We are at the business end of the 2018 Under-16 Championships with the Semi-Finals getting underway today before the medal games are held on Friday,- the last day of competition. Home fans on the Sunshine Coast will move their allegiance to Qld North in the girls competition when they take on Vic Country in the first Semi-Final. Vic Country have lost just one game throughout the tournament but it was when they faced Qld North in the group stage, going down 55-59. Piper Dunlop helped them own the glass with 18 points and 20 rebounds but Chailee Ward and Shaneice Swain's six three-pointers got Qld North over the line as they also combined for 55 points. Vic Metro and NSW Metro will meet in the other Semi-Final, playing off for the second time in five days after clashing last Sunday. That contest was a back-and-forth affair as Vic Metro trailed by nine at quarter-time, led by six at half-time and then used a 17-8 final quarter to again come back and secure a 57-49 victory. Alana Goodchild and Millie Prior had double-doubles each for NSW Metro and tallied 11 offensive rebounds together. However, 30 turnovers as a team gifted Vic Metro 22 points and they must cut down on that aspect of their game to hand the defending Champions their first loss of the competition. 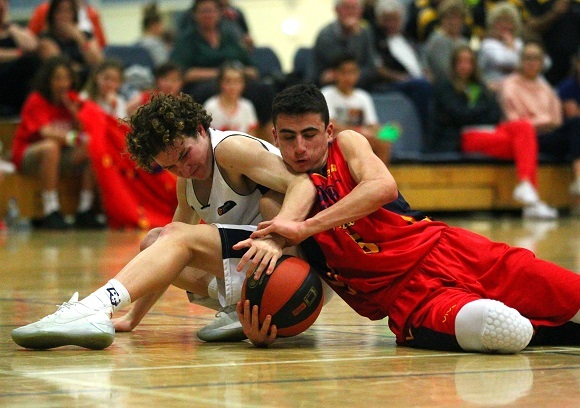 The first boys Semi-Final will also be a battle between Vic Metro and NSW Metro after they both advanced comfortably through the Quarters with double-digit victories over Tas and WA Metro respectively. Victoria are represented in the Semi-Finals by Vic Country as well who will take on SA Country for a spot in the gold medal game. Vic Country were too good for the home side, Qld South, in the Quarter-Final, prevailing by 22 points and SA Country will be looking to consolidate their victory over intrastate rivals SA Metro from yesterday. Don't forget there is a full slate of games on today and tomorrow with classification games still to be played out across both competitions. For all the draws, results and LiveStats click here.